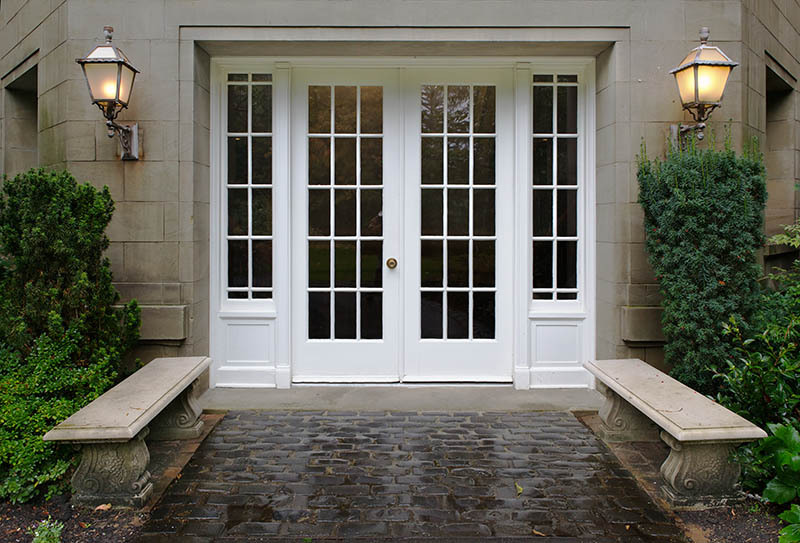 Home > Blog > What are the Benefits of Installing French Doors? Whether you are looking to replace an old entry door, sliding patio door or add a new set of doors, installing french doors is a great option. French doors are a beautiful addition to any home as they instantly give your home a brighter, more elegant look. Installing french doors also enhances the room’s design and immediately creates the effect of a larger space in the home. There are many factors that go into choosing the right doors, so be sure to check out our ideas on why french doors can be the perfect addition to your home! One of the major benefits of installing french doors is the amount of light that is able to shine through them. French doors have the option to consist mostly of glass which will add light and the feeling of warmth to your home. They also have the ability of making the room feel less closed-in and feel brighter. Adding french doors will change the overall atmosphere of the home and create a welcoming effect. Consider installing french doors in your patio, living room or bedroom to naturally lighten up the space. French doors instantly create an elegant, classy look to any home due to the nature of their beautiful design. They also have many glass options and a simple design that attracts many homeowners. Consider adding french entry doors if you are looking to improve your home’s curb appeal as you can customize them to fit your personal taste. There are many different options to choose from when designing your french doors. French doors come in a variety of styles, sizes and framing options including wood, steel, vinyl and fiberglass so you’re able to customize them to what looks best in your home. No matter what style you choose, they’ll complement your home decor perfectly. They are typically hinged at the top, which means that you need a “swing clearance” or extra space around the doors to open and close them, but are still extremely customizable in design. No matter what style you go with, french doors improve the appearance of your home on both the interior and exterior. The installation of french doors can add functionality to your home instantly. 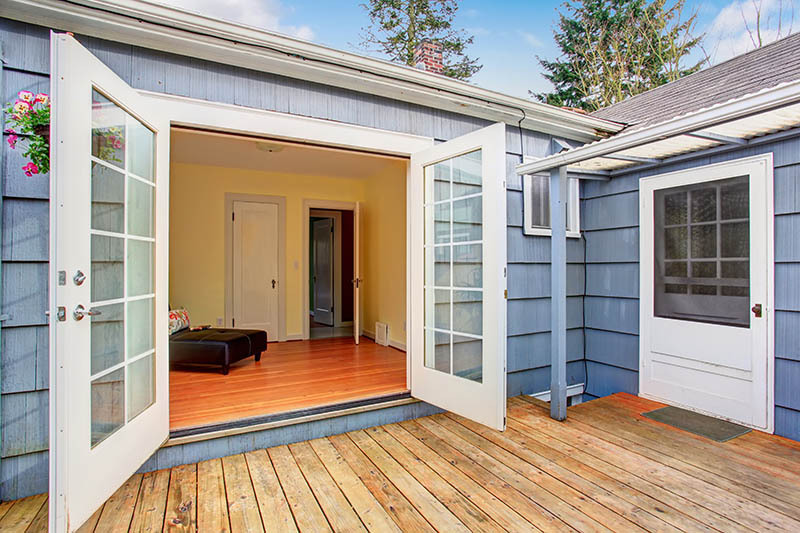 French doors provide a great barrier between rooms to connect two spaces that are smaller. They are also the perfect way to keep noise out and bring the sunlight in. Consider adding french doors to your home if you are looking to add versatility or give more use to your home. French doors can easily make a small home seem larger. They create the illusion of more space in a room due to the large amount of glass you can see through. This is a great advantage for small homes or condos that need all the help to make the space feel larger than it actually is. But don’t worry! French doors look great in large homes as well. They create a more open and inviting feel in the home. Installing french doors is a great way to create a connection between two rooms. Is there is a room in your home that you don’t use very often? Adding french doors between another room in the home to one you don’t go in often can give it more usage. French doors also offer more versatility in the room than a typical archway does. Consider using french doors to connect living and dining rooms to create more of an open feel in the room. You could also choose to replace a wall with french doors to create a smooth transition between the interior and exterior of the home. This can increase the sense of space, even when the doors are closed. Even though french doors can sometimes be pricey, you are saving money in the long run for many reasons. They will raise the value of your home allowing you to gain more return on investment as well as lower your energy bill due to the large amount of energy they save you. Consider installing french doors in your home if you are looking to save money in the long run, but also make your property have outstanding curb appeal! While the upfront costs of french doors may scare you, remember that you are bringing added value to your home instantly. They are viewed as one of the best home improvements to bring the highest return on investment if you are ever looking to sell your home. If you are looking to increase the resale value of your home, consider upgrading old doors to french doors. You will be surprised at how much they can make a difference while enhancing the aesthetic beauty of your home! French doors are a very practical addition to any home as they use energy more efficiently. They bring in a lot of light and ventilation through the home which prevents over use of electricity. If you choose to add french doors to your home, you will ultimately save on your energy bill each month. 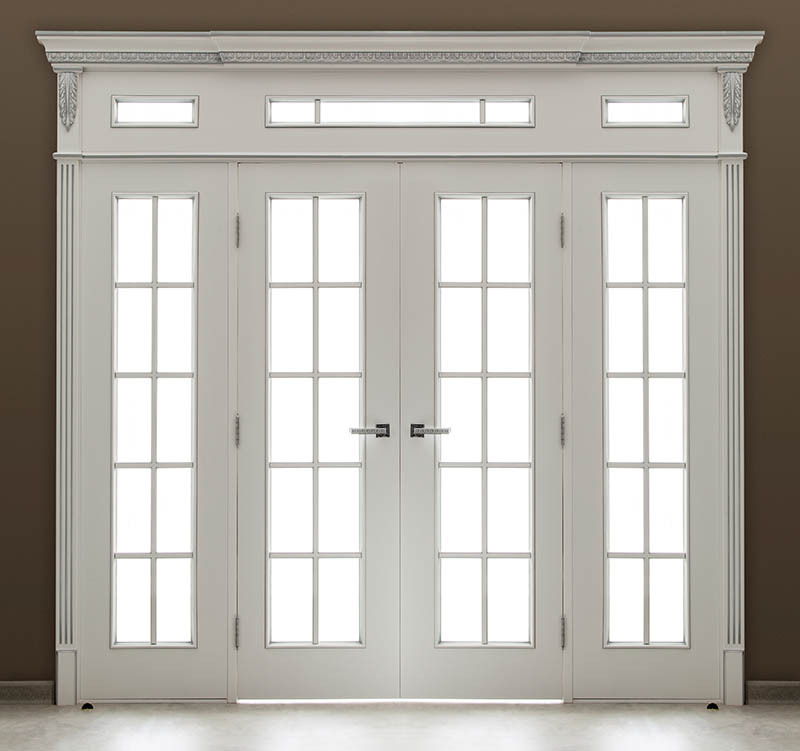 Consider choosing fiberglass french doors as they are the most energy efficient option. 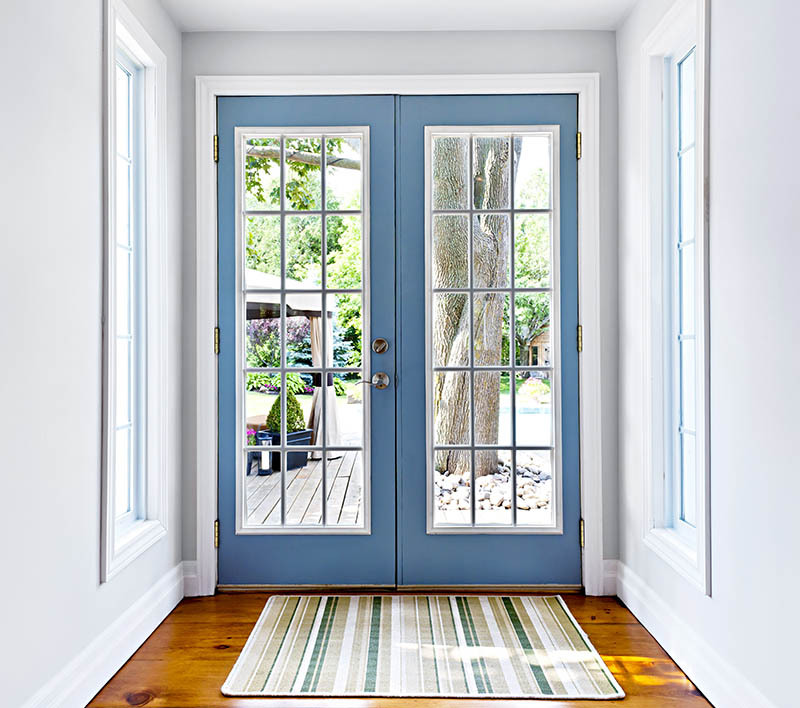 Fiberglass french doors are extremely airtight and tend to come insulated, which provides an energy-saving advantage over other materials used to design french doors. The addition of french doors will add both beauty and functionality to any room in your home. They provide an architectural appeal, which in return will raise the overall value of the home. Next time you are looking to replace a door, check out installing french doors. You will not be disappointed.